Fig. 4.17 Geo. 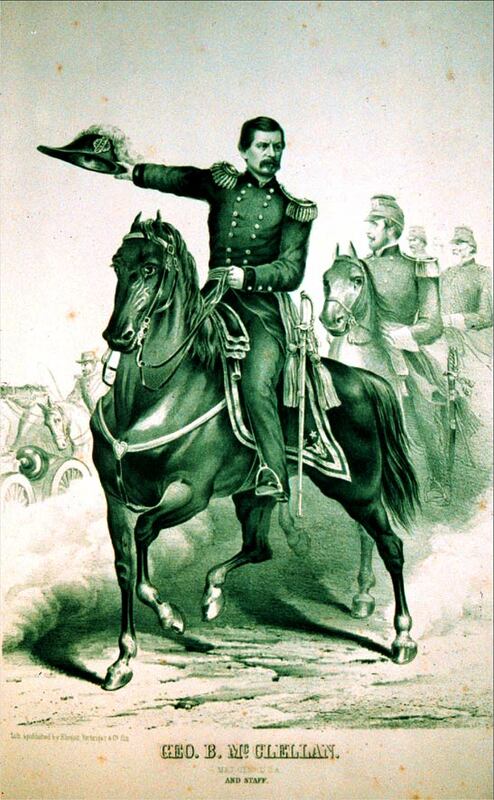 B. McClellan. / Maj. Genl. U.S.A. / and Staff. Lithograph. Small folio: 13 x 10 in (33 x 25.4 cm). Cincinnati: Ehrgott & Forbriger, 1862-64. The Philadelphia Print Shop, Ltd. Background S14a.